In recent years, the concept of “sick building syndrome” has become a way to talk about how air quality at work or in buildings could lead to illness. If you work lots of equipment that kicks up a lot of dust, then a custom filter could make the difference between a sick and healthy staff. If you want to ensure that everyone is comfortable at your office check what custom filters could do to help. Here are four reasons you need custom air filters for your equipment. While some people need standard filter bags to generally keep the air clean, some business’s needs are more extreme. There are schools where the lungs of young people might not be robust enough to deal with air problems. There are also manufacturing situations that require you to keep dust out of the final products because of health or safety concerns. While it’s possible to get filtration down to just a few microns, you need the right fabric to get it as low as one micron. If you have the correct fabric that’s had the right surface treatment, you can ensure that you’re not letting any kind of visible or irritating dust out. If you’re using a machine that leaves wood dust, you could use polyester felt with a singed finish to avoid any issues. 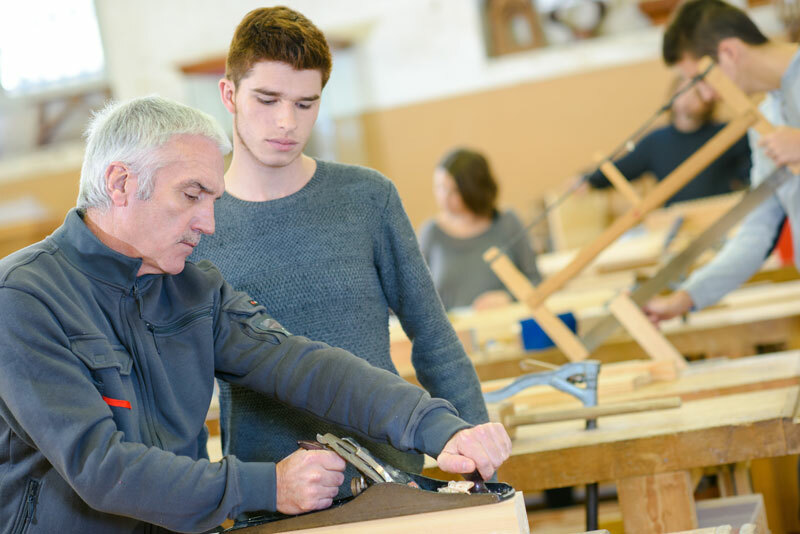 If you’re in an academic environment and teaching woodworking to children, they’re going to want to get as involved as possible. They might not think there’s any issue with being around all the dust that gets kicked up, it could do serious harm to their lungs. For companies that produce products for medical or sanitary needs, any dust could end up interfering with final products. If a machine is being used for an industrial purpose that ends up being in the food or pharmaceutical industry, any dust in this environment could be dangerous. With the right custom materials, a soft layer of “dust cake” is formed on the interior of the bag. This layer ends up being an additional filtration system to keep small particles from going where they don’t belong. When you have customized equipment, it’s hard to find bags that fit right out of the box. You’ll likely need to find someone who can manufacture custom bags to fit your customized equipment. While there are a lot of different ways for equipment to be customized, in emerging fields, equipment might need to fit the standards of a changing industry. If you have older equipment that you’ve updated, the standards filtration bags might not be available anymore. When you have equipment that is well cared for, it can last for decades. The only thing to contend with is finding parts that fit. Sometimes OEM parts just cease to be made anymore for a tool. However, that shouldn’t stop you from using the tool that works for your industry. Just because you can’t find a filter bag for it doesn’t mean you shouldn’t use that equipment. Talking with a custom bag manufacturer, you might be onto something. When you tell them about the bag you need, you could be at the cutting edge of a new product line or be responsible for the next wave of things they create. Lots of manufacturing is happening in urban environments now. In these areas, space is often tight and it’s hard to fit all the equipment you need as safely as possible. When safety is an issue and space is limited, then custom bags can come in handy. In tight spaces, equipment might have to be against a wall and bags might have to be long or angled to go around the nearby corner. Depending on the equipment you’re working with and the space that you have, the needs are going to vary. Because space is a real issue for people in manufacturing, custom bags come to the rescue more often than you’d think. In some cases, it makes more sense for you to have a bag that’s either half or double the capacity of a standard bag. If you’re going to need to consider space issues in your workshop or your production environment, then custom bags are going to come in handy. When you’re operating machinery, it’s not just the moving parts that reach high temperatures. The material that you’re using or cutting is going to get hot. The dust that comes off of the material is going to be hot too. As the material filling your bag heats up, your bag is going to absorb some of that temperature. Over time, this degrades the filter bag and ends up causing misshapen regions or holes. If this happens, your bag isn’t going to be as good at filtering. When this is the case, you need a custom bag with fabric to withstand the heat that you’re subjecting it to. Fabric bags need to be cleaned from time to time. Just like a pair of denim jeans, the more that you wash your bag, the more it starts to degrade. If you wash your bags too often, you’re going to need to replace them more often. Oils and moisture collect on filter bags frequently. If this happens to you, your bags need to be cleaned. However, excess water, excess heat and conditions that could clean the bag could also hurt the bag. Cleaning cycles need to suit the material. A Custom Filter Could Increase Productivity. If you’ve found that several members of your staff stay home sick from work because of breathing issues, a custom filter could save you. If you’re wondering how often you should change your filter at your office, contact us today or visit our filter bag page for more information.